A new calf was spotted today in L pod. 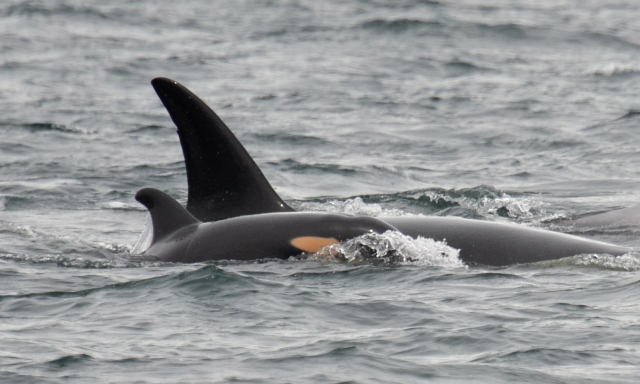 The baby, L119, is the offspring of L77, Matia. The Center for Whale Research has reported the apparent absence of two additional Southern Resident killer whales as a result of an encounter last Tuesday by center researchers Dave Ellifrit, Erin Heydenreich and Barbara Bender. “We will wait for a couple more good encounters with L pod before writing them off to make sure they were not just missed,” the researchers said in their report of the encounter, which also includes 10 photos. 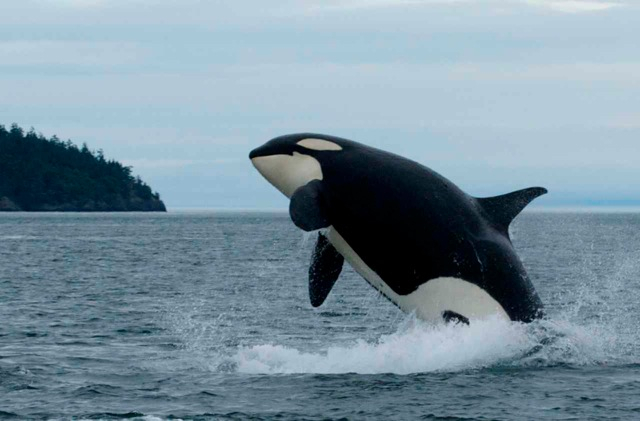 Orca Network has tentatively removed all the missing whales from its list of living orcas, leaving the number of survivors at 85. Capt. Jim Maya of Maya’s Westside Charters sent along his best wishes for a New Year along with his favorite killer whale photos of 2010. I’ve chosen my favorites of his favorites. Thanks to Capt. Jim for allowing me to share his photos throughout the year. And may everyone have a great 2011.